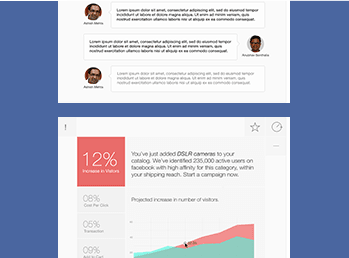 Live goes Mobile, Email Remarketing beta is Out, Facebook DPA & more! Wish you a fantastic 2016! At OnlineSales.ai, we signed off an awesome 2015 with a promise to make 2016 the most productive year ever by delivering amazing features for our retailers at much faster pace. 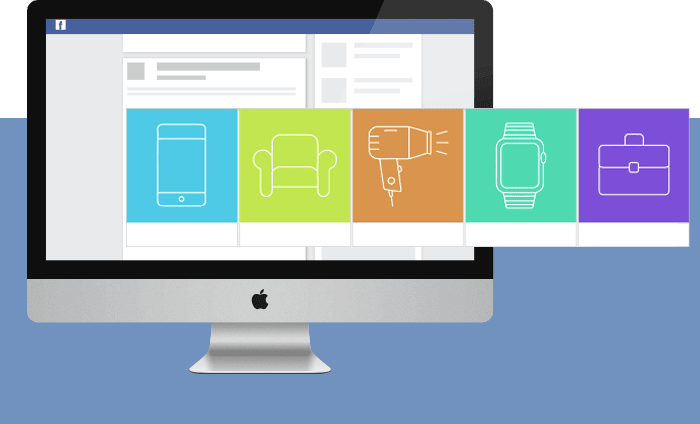 Here’s a quick summary of last month; we saw great traction on Facebook’s Dynamic Product Ads and also launched Email Marketing in private beta. Sign up on these features if you haven’t already. And a lot’s cooking in our labs to make this quarter the most exciting quarter yet! Automated email workflows targeting right audience groups based on their store behavior. 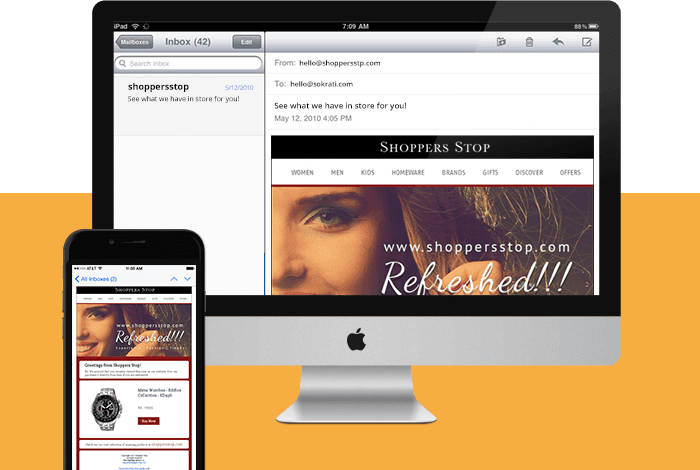 Reach the Inbox with a 1 click campaign setup. Auto Handled unsubscribes & Out of stock products. A Sneak Peek at what’s in Store this January! Now keep a check on your Marketing campaigns across all ad platforms on your Mobile, with OnlineSales.ai LIVE’s real time interface. Track Cross Channel Metrics: OnlineSales.ai Live helps you track the top level metrics across all your Google & Facebook accounts such as Spend, CTRs, Conversions & more. Projected metrics View: Get end of day projected performance based on how the campaigns are performing till the current hour of the day. This is crucial for keeping check on your daily ppc goals. OnlineSales.ai Suggestions: Based on how your campaigns across networks are performing, we have a suggestions section within the app, where you can accept real time suggestions such as increasing campaign budgets or keyword bids or even pausing keywords or targeting. These suggestions also showcase the potential impact such as increase conversion rates by 5% or reduce cost per lead by 10%. 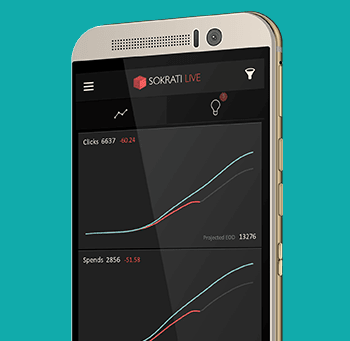 Mobile Version: The mobile app will be a light, robust interface where you can track your campaign performance & even activate OnlineSales.ai suggestions on the go. Keep optimizing campaigns on the fly! OnlineSales.ai Suggest – Long Awaited finally launching this Jan! OnlineSales.ai Suggests is an intuitive engine that showcases top suggestions directly on your dashboard with the potential impact these will have on your business goals such as conversions, click through rates & cost savings. Based on how your marketing campaigns perform, our AI systems crunch the big data & fetch these suggestions to your dashboard in terms of changes in keyword bids, device and location emphasis, creative optimizations, targeting additions based on placements & keyword performance & many more! Simply click approve or reject based on your business goal priorities & OnlineSales.ai’s platform spins all the back-end optimizations instantly. All this & more coming your way this January, stay tuned!